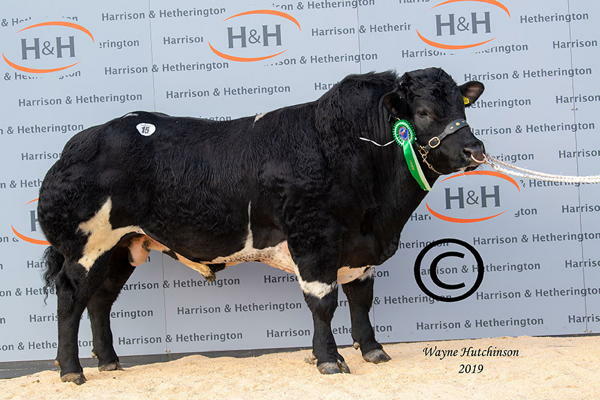 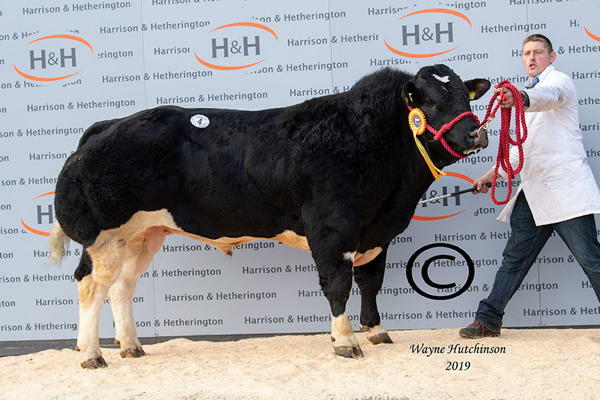 The first British Blue Cattle Society show and sale of the year was held at Carlisle on Friday 25th January 2019 where trade topped at 7500gns and an average of Â£4669 was attained for the 16 bulls sold. 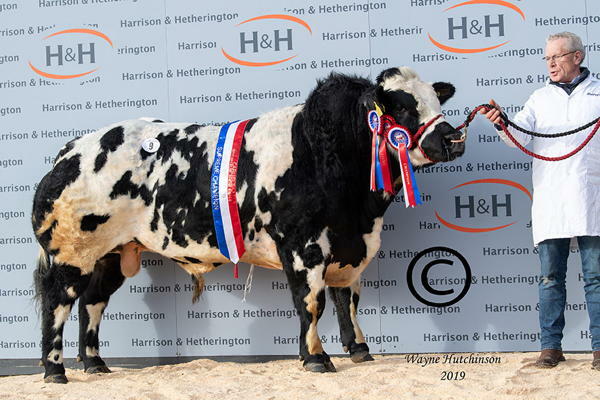 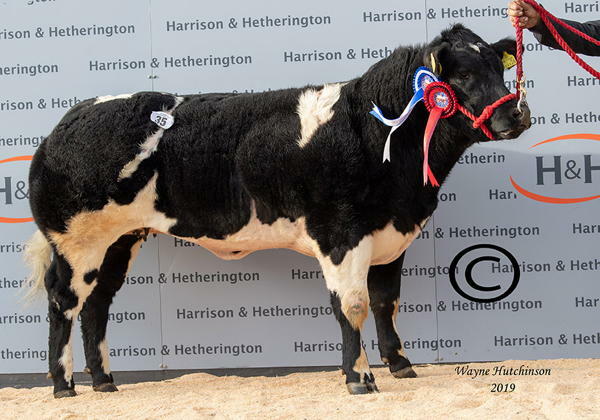 Topping the sale was the bull Stonebyres Memphis from A & CS Comrie’s Lanarkshire based herd. 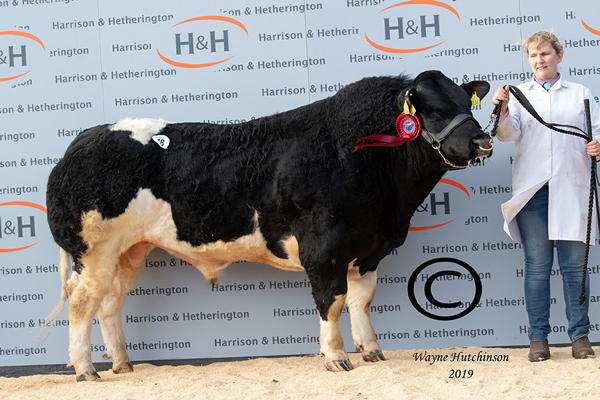 This bull was sired by Kersey Geronimo and out of the homebred Stonebyres Izzy by Tamhorn Enterprising. 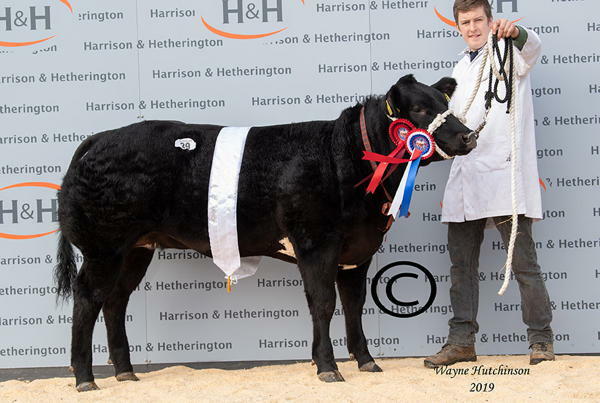 Memphis had won his class in the pre-sale show and went on to be purchased by Messrs Hartley from Much Wenlock, Shropshire.